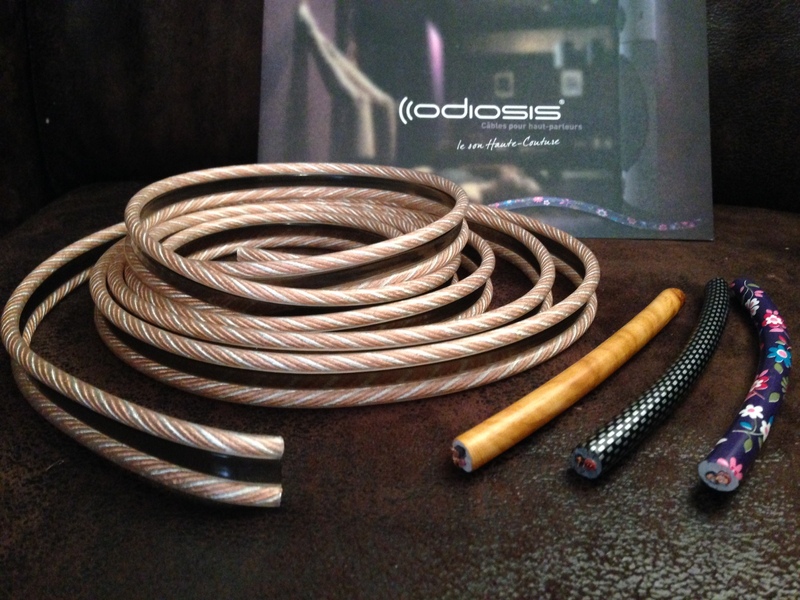 A few months ago, Omerin started selling its Odiosis line of speaker cables. The company is a leader in the French cable industry and has 650 employees spread across three production sites. Two of these sites are located in the cities of Andrézieux and Saint Etienne (near Lyon) and the third is found in Ambert (between Lyon and Clermont-Ferrand). Omerin prides itself on its high degree of expertise and is interested in, above all, preserving signal quality. Its speaker cables are manufactured using deoxygenated copper (99%), which makes them much less vulnerable to oxidation and improves sound conductivity. Over the last few days, I have been using a pair of ODIOSIS HF PRO BM cables with one of my sound systems (more specifically to hook up my wonderful Offrande speakers made by Jean-Marie Reynaud, speakers that I could listen to all day). I have been rather amazed by their performance; these cables perform just as well as cables that cost much, much more. I was immediately seduced by the highly homogenous sound that was produced, which was reflective of a high degree of accuracy; the use of the cables yielded a well-balanced sound image. For the price of 15 € per meter, it is impossible to find a better bargain on the market. Quite frankly, I am very impressed. The cable is faithful to its purpose and yields a high degree of fidelity throughout the dynamic range. It should be a good match for many systems, even the most demanding. Odiosis cables take a simple approach that no one else had thought of that answers the recurrent question: “Why do we try to hide speaker cables?” The answer is straightforward: because they are ugly. 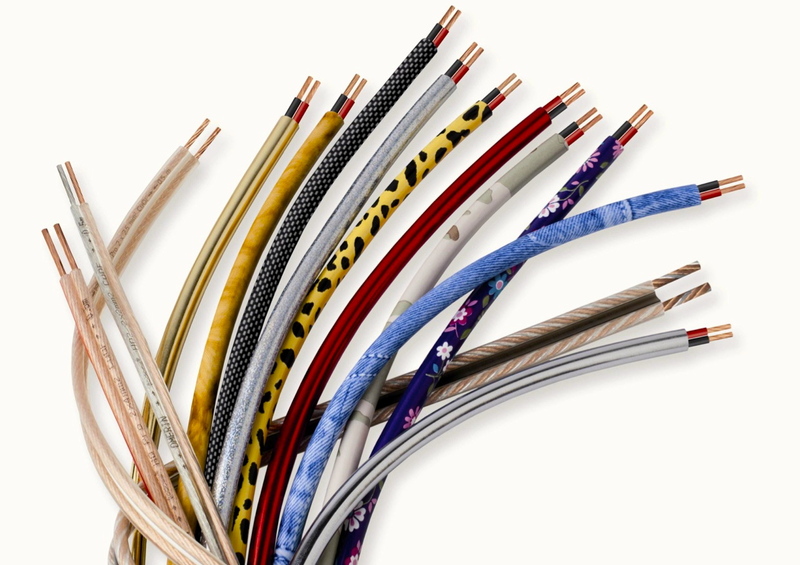 However, Odiosis cables have decorative designer sheaths that come in all flavors. To understand the reasoning behind this unique undertaking, I spoke with Henry Huynh, Product Manager for the Odiosis line at Omerin. 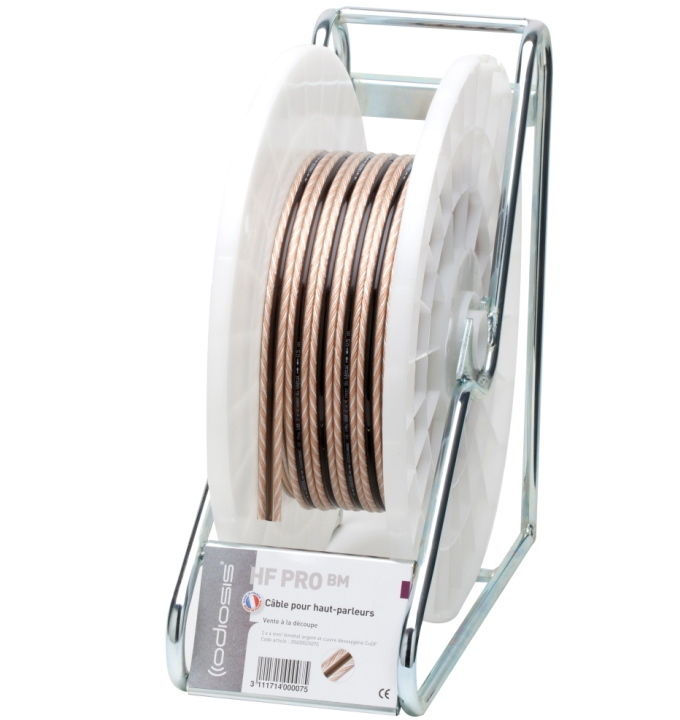 What positive benefits does your experience in the industrial cable industry bring to your line of HIFI cables? How do you manage to offer these cables at such attractive prices? What is your reason and strategy for getting into the small HIFI market? Out of a sense of discretion, my conversation partner refrained from commenting on the prices and approaches of certain cable manufacturers. However, he did confirm that, for several years, his company has been supplying many well-known brands with cables. Of course, their names are completely confidential. As far as that is concerned, doing some blind sound tests should suffice to easily unmask certain cable brands, and we could thus avoid those companies who seem more intent on swindling people than on doing real business. Nonetheless, there are two small sources of disappointment: 1) at present, only a few retailers carry Odiosis cables and 2) the company does not offer sets of cables with pre-mounted banana plugs. You have to do it yourself! At the moment, too many manufacturers are trying to convince us that wireless speaker connections are becoming the norm and that they will work just as well as using good-quality cables. Odiosis cables are an honest product of high quality that is available at an unbeatable price. Their aesthetics may find that happy medium between cable visibility and a tasteful and understated interior décor. Given Omerin’s history and stature, we can rest assured that the product we are buying is 100% created and manufactured in France. This is the cherry on top of the numerous arguments for buying these cables that would knock a number of Omerin’s competitors out of the running. The best sounding stereo I have ever heard…..big electrostatics and a huge sub were wired with Romex. The owner is a EE. This entry was posted on 07/11/2013 by Aublanc in Coup de coeur, Loudspeakers and tagged affordable amp, affordable audio, affordable speakers, affordable stereo, audio france, audio frence, cables, european audio, european hifi, focal, hifi france, jb audio, odiosis, omerin, speakers cables, stereo france, stereo systems.